Quick, Iceland (the country) is on eBay and you don’t have to take Bjork! The credit crunch has taken it’s biggest victum yet and someone has put Iceland on eBay!. Get in quick every second girl in Iceland is a supermodel. In case it gets taken down, this is what it looked like. If you have had money removed from you account without your knowledge by highstreetmax.com or clubprem.com please leave details in the comments section at the bottom of this post. This post has been updated because I have been threatened with unspecified legal action by multi-million dollar international company Adaptive Affinity. I have received several flyers for Vistaprint in packages I have received from Amazon. The flyers looked professional so I purchased some business cards from Vistaprint for a very cheap price. Since buying the cards money had been taken from my Visa for clubprem.com and highstreetmax.com every month. To my knowledge I never signed up to these services. A Whois search at http://www.geektools.com/whois.php revealed that Adaptife Affinity was the owner of highstreetmax.com and clubprem.com. The following information is an exact copy of the whois result. 3rd Floor Prospero House, 241 Borough High St.
To sort this matter out I called Visa and they said I needed to contact the retailer first. I called 0800 028 8251 (this number doesn’t work any more) to resolve the issue and a lady who said she was based in Jamaica refunded the entire ?252.05. After this I did some further investigation into Adaptive Affinity. This site http://www.yougetsignal.com/tools/web-sites-on-web-server/ showed me that the server that hosted clubprem.com and highstreetmax.com was also hosting all of the following websites. Many of which are owned my Adaptive Marketing or Adaptive Affinity. Today (13/9/10) both highstreetmax.com and clubprem.com are both hosted on their own individual servers with no other websites. At the time of my taking the screen shots above both the highstreetmax.com and clubprem.com websites contained the logos of many hight street companies. Thank you for your email. I’m sorry to hear you have had problems with the two web sites listed below. Having investigated the issue, I can confirm that neither of the sites are currently on any affiliate programme with hmv, or in any way connected with, or in a relationship with hmv. As such, our lawyers are in the process of making contact with the sites to discuss the issue. Thank you for your patience with our response. I have received responses from our Business to Business Manager and Web Manager. It looks like these companies don’t actually run any affiliates links, they have just chosen a few logos from big high street names to make their site look legitimate. Halfords has no connection to these companies and I have passed the detail onto our Legal Manager in order that she may write to them regarding the use of our logo. I appreciate this doesn’t help your situation immediately but please be assured that this has received our full attention. Please accept our thanks for taking the time to share your information on the 2 following web sites HIGHSTREETMAX.COM and WWW.CLUBPREM.COM with us. After our investigation’s we can confirm we have no affiliation with either of these companies. We apologies we can not assist you any further. 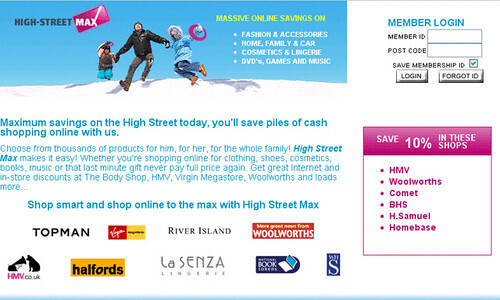 So from these emails it would appear that highstreetmax.com used the logos of HMV, Halfords and River Island without a formal business relationship with those companies. 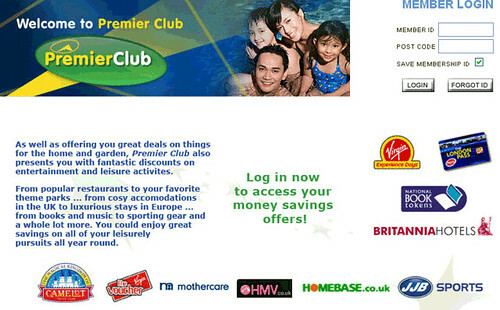 And clubprem.com used the logo of HMV without a formal business relationship with HMV. Adaptive Affinity’s parent company, Vertrue, has been taken to the courts in the USA for their business tactics. The Mirror have run an investigation into them. 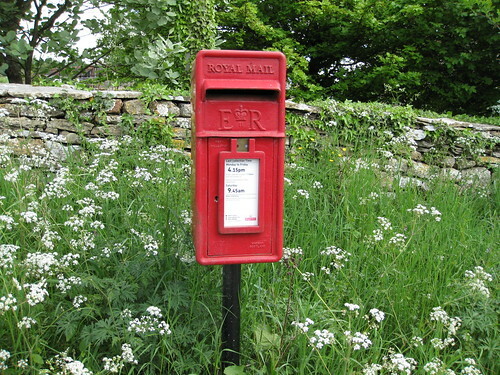 The Observer have published complaints in their letters section. The Federation of Small Business have warned against using VistaPrint on their scamwatch page. There is a class action law suit against Vertrue in Illinois. Some time in 2009 Vistaprint are moving their head office from Bermuda to the Netherlands. Details to follow. 369 Burnt Oak Broadway, Edgware. How much money do Ventura make? According to the Washington Post negative option selling earned Ventura $650 million in revenue in 2006. 1. Contact your card supplier and have the card cancelled immediately. 2. Contact Adaptive Affinity Ltd on +44 (0) 870 143 2343 and ask them for a refund. 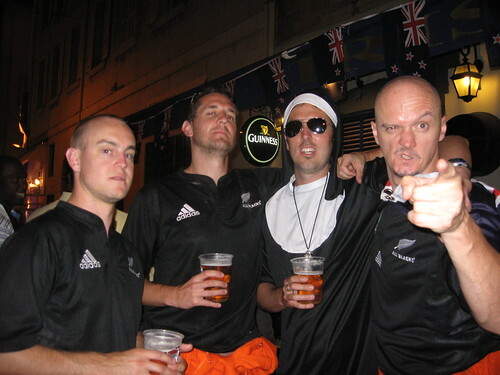 I got a full refund on my Visa. Some people have reported that they do not get a full refund. Can anyone suggest anyone else to complain to? 4. Join this group and GET ACTIVE! I have also set up an online petition stating that Amazon should stop circulating advertising material for VistaPrint. There is a class action lawsuit against Vistaprint in the USA. Use the link below to join this action. Date: Wednesday, 23 July, 2008 Posted By:hubbersComments:2 CommentsCategory:internetTag:Wordpress permalink “not found” 404 version "2.6"
There is a known issue with the latest version of WordPress 2.6 that means that if you are using SEO (Search Engine Optimisation) friendly permalink urls that include the post name in the url (e.g. http://www.hubbers.com/index.php/a-weekend-in-the-south-of-france/) then viewing individual posts will result in a page not found (also called a 404 page). The easiest way to fix this is to change your permalink structure back to the default setting so that your urls look something like http://www.hubbers.com/?p=376. But this means that your urls will no longer contain loads of useful keywords that Google and other search engines love. 1. Don’t upgrade until they release version 2.6.1 which will contain a fix for this issue. 2. This one is for advance users only. Upgrade to version 2.6 and then go to the following link (http://trac.wordpress.org/changeset/8365) and make the simple edits to the three files shown there. Then upload those files over the top of the ones in the official release. There are other examples of this out there on the web but I cna never find one when I need it so have added it to my blog for easy access. Targeting elements by getElementById seems pretty universal. Another of the products I worked on called Analytics won a French i-expo award. Anyway more recognition for more hard work. The winners are viewable on this site http://siia.net/codies/2008/winners.asp. Its good to know that someone recgnises my genus. Recently I bought a new Canon Ixus 970 compact camera from Amazon when my old Ixus 900 went missing. It is a great camera and has helped me take some photos that I am really proud of like this one from last weekends 40 mile charity cycle ride in the Cotswolds. I looked at the camera again on Amazon today and the price had dropped by ?22.13 so I emailed them and they replied within the hour that they would refund the difference. How cool is that? The discounts we offer for items on our website do vary from time to time. I’ve checked your order #026-3229170-8980331 and found that we now offer a greater discount on “Canon Digital IXUS 970 IS Compact Camera (10.0 MP, 5x Optical Zoom) 2.5″ High Resolution PureColor LCD II” than at the time you placed your order. We are happy to refund the price difference in cases where less than thirty days have passed between the date on which an order was dispatched and the time that an item is reduced in price on our site. Therefore I have requested a refund of 22.13 GBP to your payment card. This amount reflects the difference between the price you were charged and the current discounted price. The refund should appear as a credit on your next bank statement. Any time you buy anything from Amazon (but not the sellers that trade on their site) make a note in your diary for 29 days later to check the price hasn’t changed. If the price has changed contact them on this form telling them that the price has changed.